Alex Wong/Getty ImagesPhysician to U.S. President Donald Trump Dr. Ronny Jackson speaks during the daily White House press briefing at the James Brady Press Briefing Room of the White House January 16, 2018 in Washington, DC. President Donald Trump plans to nominate Admiral Ronny L. Jackson to replace David Shulkin as secretary of veterans affairs. There is concern that Jackson lacks the managerial experience to run the government’s second-largest agency. It is too early to tell if Democrats will oppose his nomination in full force. 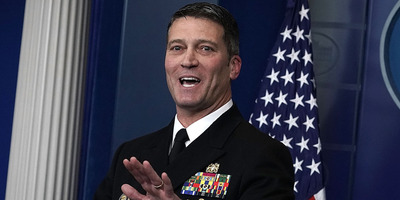 Questions have emerged about the managerial ability of White House physician Admiral Ronny L. Jackson, President Donald’s Trump pick to run the Department of Veterans Affairs, the federal government’s second-largest agency. If confirmed, Jackson would replace David Shulkin as the secretary of veterans affairs. Trump announced his decision to fire Shulkin on Wednesday. 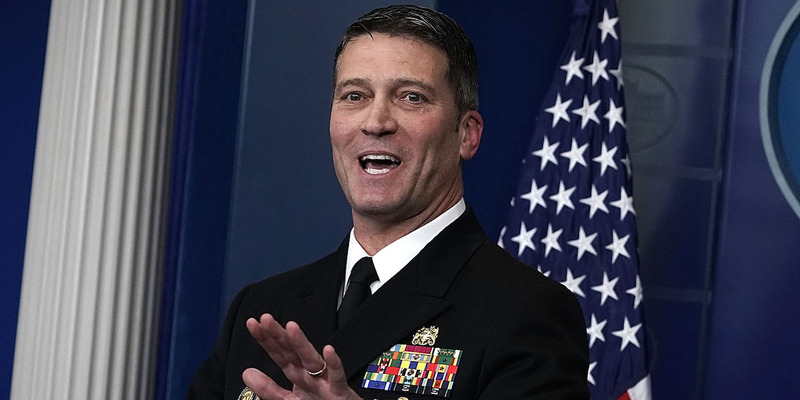 Though Jackson has an impressive resume as a career naval officer who served as an emergency trauma doctor in Iraq, as well as a White House physician for the 12 years, he seems to lack any management experience. Considering the VA has 360,000 employees and a $US186 billion annual budget, that has some people worried. “It’s great that he served in Iraq and he’s our generation. But it doesn’t appear that he’s had assignments that suggest he could take on the magnitude of this job, and this makes Jackson a ­surprising pick,” Paul Reckhorn, the chief executive of Iraq and Afghanistan Veterans of America, told the Washington Post. Shulkin had managed several hospitals before, including some that were part of the VA, and almost all of his predecessors were either high ranking managers in the private sector, or military leaders. Senior White House officials told the Washington Post that Jackson “was taken aback by his nomination,” and was reportedly hesitant to take the position. One official described an “informal interview” process, without the traditional Cabinet-level vetting. The White House had reportedly planned to announce that Shulkin would leave on Wednesday, with an interim director to run the department until a permanent head could be found. Trump apparently changed that plan when he tweeted that Jackson was his pick to lead the VA. Virtually nothing at all is known about Jackson’s views on the issues that currently face the VA, like Trump’s views on privatization of elements of the VA.
“We are doing our homework on Dr. Jackson,” Amanda Maddox, a spokeswoman for the chairman of the Senate Veterans’ Affairs Committee, Sen. Johnny Isakson, told the Washington Post. It is unclear if Democrats will support Jackson’s nomination. Senator Tammy Duckworth of Illinois, an Iraq veteran who lost both of her legs when the helicopter she was co-piloting was shot down, released a statement saying that she would “carefully review” his qualifications. “The next VA Secretary must be able to protect the department from becoming consumed by partisan politics,” Duckworth said.